BRAINSTORM: detalles de su nuevo disco "Scary Creatures"
"Scary Creatures" como una caja edición limitada (incluirá una figura y el Digipak) y en una edición limitada de vinilos de colores (500 unidades en dorado). "Scary Creatures" release set for January 15th / details unveiled! 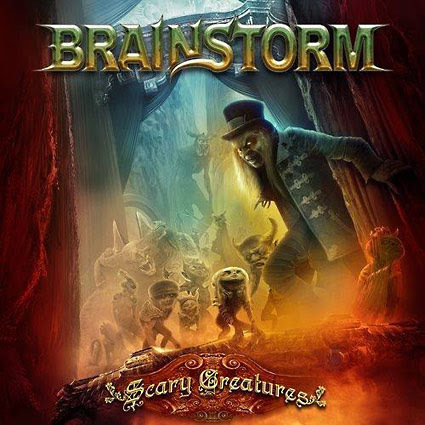 Following up on the success of 2014’s “Firesoul” album, German power metallers BRAINSTORM didn’t waste any time to enter the studio and record a brand new masterpiece which is titled “Scary Creatures” and will hit the stores on January 15th, 2016. The band continues where they left off one and a half years ago with the previous release and also mix and mastering was once again handled by Achim Koehler. But right away you feel that “Scary Creatures” is just that notch better than “Firesoul”, more anthemic, heavy and all musicians plus vocalist Andy B. Franck delivering to the max. Starting with the infectious opening track “The World To See” (which will also be the album’s first single and video clip), BRAINSTORM once again prove why they are one of the most popular and respected metal acts in the European scene. The band will embark on European tour in February 2016, followed by many festivals around the world in the Summer. "Scary Creatures" is a very emotional, an almost personal, album. All songs reflect the events and feelings of the past months, which made the music incredibly intense. To me, "Scary Creatures" is the logical successor to 2014's"Firesoul" and perfectly bridges to BRAINSTORM 2016. 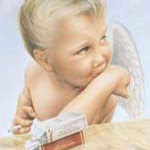 Also for the first time we achieved that many of the band members' children were integrated into several songs. It's another reason why the new album is very valuable and unique to us. Add to this the rough lyrical concept dealing with severals atrocities all over the world in the past centuries, "Scary Creatures" turned out to become an impressive metal album we all are proud of". 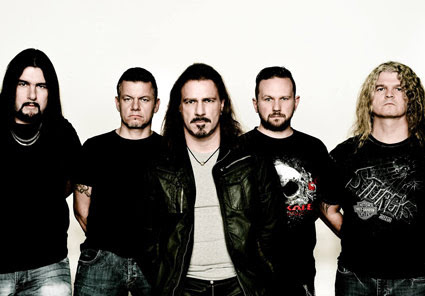 BRAINSTORM: nuevo tema "We Are..."
BRAINSTORM: nuevo tema "How Much Can You Take"
Brainstorm entrarán en los estudios "Greenman" para grabar su nuevo álbum con el productor Sebastian Seeb Levermann (Orden Ogan, Rhapsody Of Fire). El álbum se titulará "Midnight Ghost", y su lanzamiento está previsto para septiembre. La banda comenzará una nueva gira en enero de 2019. Brainstorm to enter studio soon! 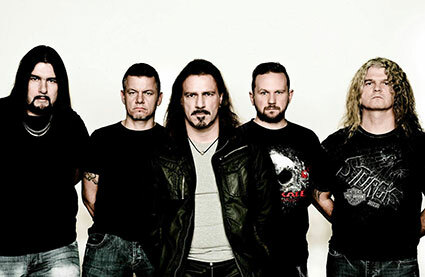 Good news from the BRAINSTORM camp: one of Germany's premiere metal bands will enter the Greenman Studios to record their upcoming new album with producer Sebastian Seeb Levermann (ORDEN OGAN, Rhapsody Of Fire). The album will be titled "Midnight Ghost", a release is scheduled for September and the tour will start in January 2019. "I think people will realize right away that we took enough of time to deliver a special album, our 12th overall by the way, this time. The songs sound very intense, fresh, heavy and aggressive - even after listening to the material for so long now. Our 12th album, so we will record 12 songs and then decide which of these finally end up on the album. We are happy that we were able to secure the services of Seeb, who was our #1 choice and will take us to the limit. We're so looking forward to working with him - also because we feel that "Midnight Ghost" will become a very special album. Stay tuned for updates, folks!" BRAINSTORM: detalles de su nuevo disco "Midnight Ghost"
Brainstorm lanzarán su nuevo álbum, "Midnight Ghost", el 28 de septiembre a través de AFM Records. Brainstorm unveil „Midnight Ghost“ cover artwork & tracklisting! 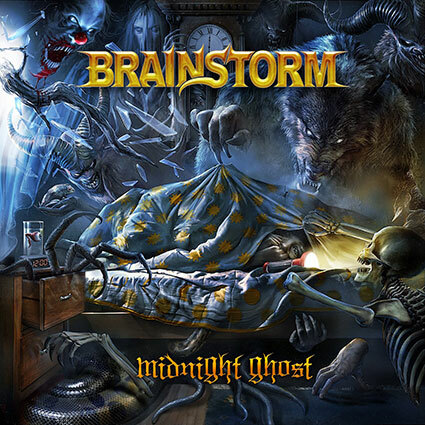 German power metal band BRAINSTORN proudly announces the release of their new album, „Midnight Ghost“, scheduled for release on September 28th. „Midnight Ghost“ was produced by Seeb Levermann (Orden Ogan, Rhapsody Of Fire), the cover artwork was created by Gyula Havancsak (Annihilator, Stratovarius). BRAINSTORM: nuevo tema "The Pyre"
BRAINSTORM: nuevo tema "Revealing The Darkness"
BRAINSTORM: nuevo tema "Secrets And Related Lies"
Brainstorm han lanzado un nuevo tema coincidiendo con el inicio de su nueva gira.